A quiet family trip together. 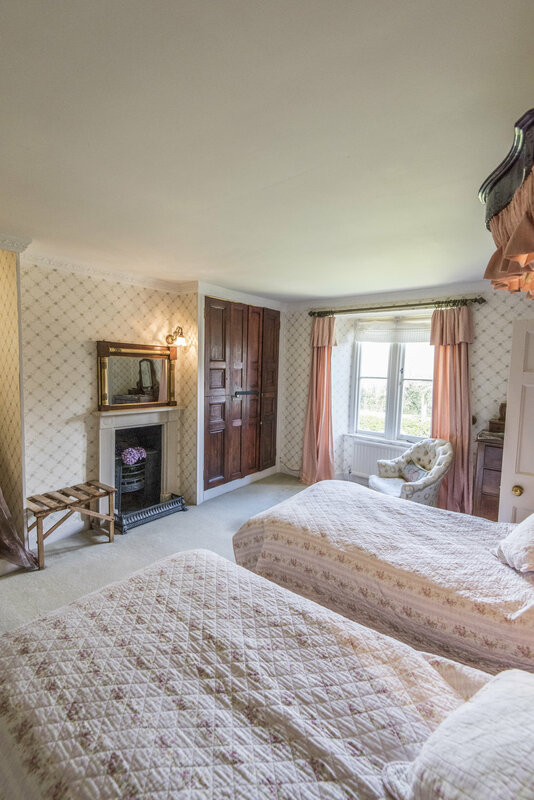 The Pink room is our most popular B&B room. The room has two single beds which can be linked together to create a king size double bed. We can also provide a bed for a child in this room. The ensuite bathroom has a bath with overhead shower. "Lovely historic farmhouse in a quiet location. 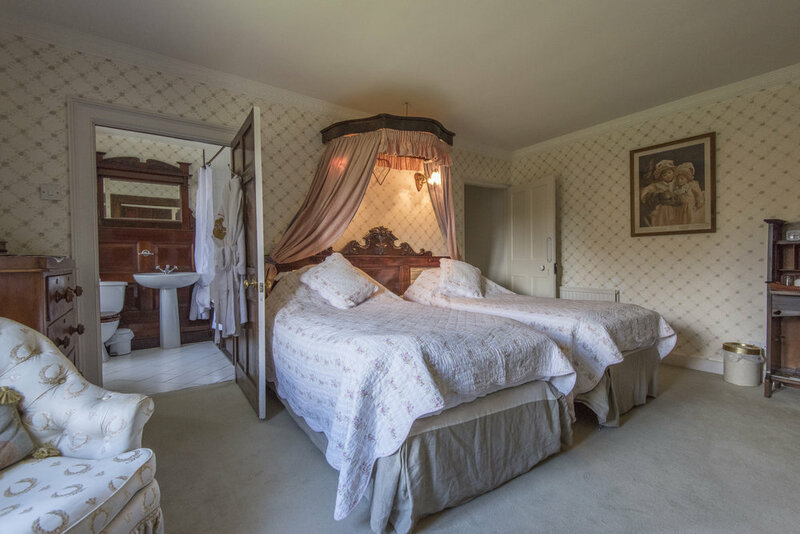 The pink room is furnished with antiques and has a beautiful yet modern bathroom."